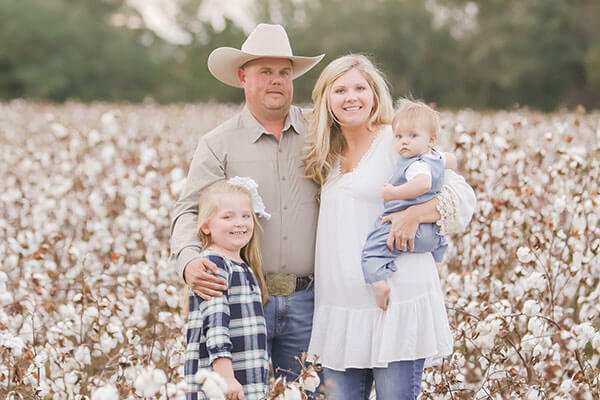 Double C Farms is owned and operated by Craig and Leah Bryson along with our children Kylie and Coleman. 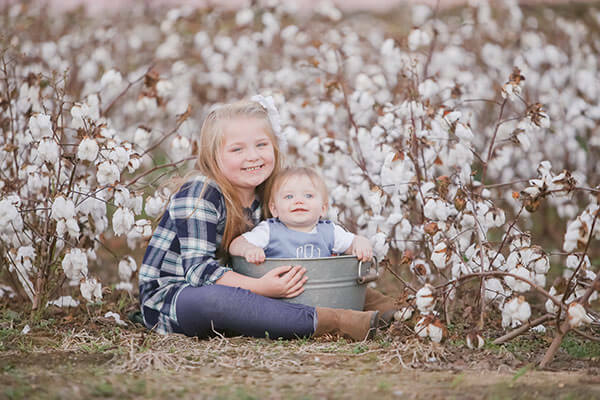 We are located in central Alabama in Elmore County. 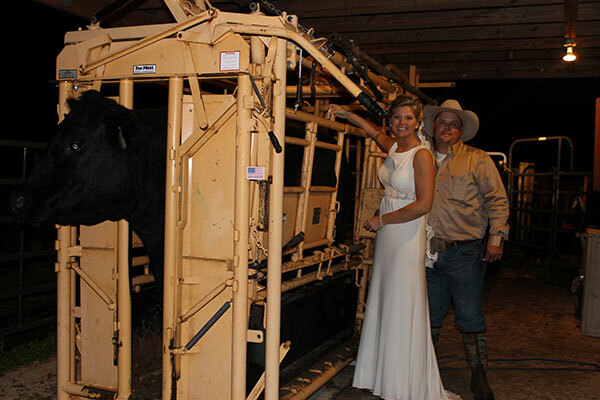 Our family has owned cattle for three generations and we are the first to make farming a full time job. 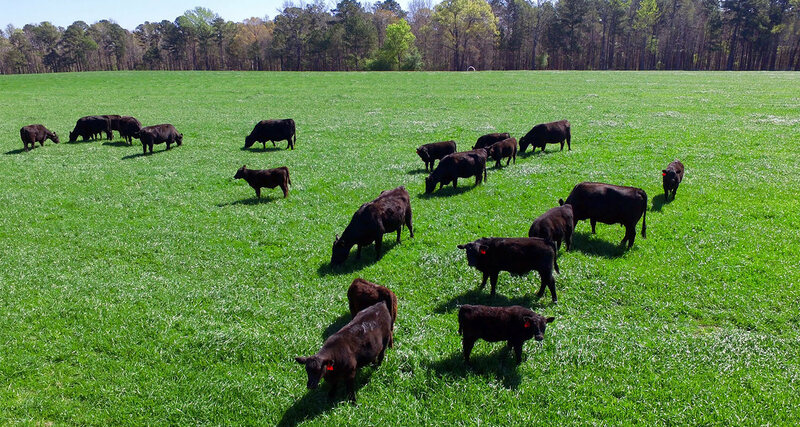 Double C Farms consist of a registered and commercial Angus cattle business, a commercial hay business, and a custom farm raised Angus beef business. Our registered Angus operation consists of 75 cows and around 30 replacement heifers per year. We use A.I. and embryo transfer, but we also use our bulls as I feel our genetics are some of the best. Our main focus is bulls we market around 35 breeding bulls a year to southeastern cattlemen. We raise all of our replacement heifers and market our mature cows as pairs at local consignment sales. Our 75 commercial Angus cows are used in our embryo transfer program we also keep the best commercial heifers and market them as bred heifers, bred to our bulls, for commercial replacements. Our bulls are culled at yearling we keep the bulls that are phenotypically the best. The bulls that don’t make the cut are used in our custom Angus beef business where we offer Angus beef to the public through local retail markets and sell them off the farm. Our hay business covers around 500 acres were we bale ryegrass and crabgrass haylage for our own use and round and square bale Bermuda grass that is sold to the public. We are a true family farm where we all pitch in and help in some part of the operation. We believe in helping our neighbors and being good stewards of the land we have been blessed with. We are advocates of teaching and involving children in agriculture. We believe the small family farm and small town America is the backbone of our country and we support all of you. Regardless of what type of farming you do we thank you and commend you for your hard work. We feel we are truly living a dream and hope our children are afforded the same opportunity no matter what their dreams are. Thanks for taking time to learn about us. If you are in our area we always welcome visitors and would be glad to show you around.